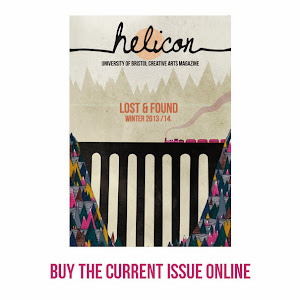 You may have noticed that Helicon's line up has recently added film - alongside prose, poetry, art and photography! In light of this, and with our next printed issue to be released this month, here are a selection of 'Lost and Found' films for you to nestle down in front of this evening. If you haven't been to to see Gravity already, now is the time to go before it disappears from screens - it is definitely the kind of film best suited to the cinema. And if you're not the kind who normally goes for sci-fi films - ignore your instincts and see this. Sandra Bullock and George Clooney are flung into the dark depths of space after a disastrous collision and with all contact with Earth lost they must navigate their way back through the dark, terrifying darkness alone. With a handful of characters, and periods of little dialogue - this film will have you on the edge of your seat, covering your eyes as you realise how terrifying space really is (I found myself on a massive google hunt for answers after seeing this film - and came across this). Gravity is a visual spectacle, which sustains suspense until the very last minute. As far in genre from the above as possible, Yossi is a drama/comedy that is actually the sequel to a film called Yossi & Jagger. 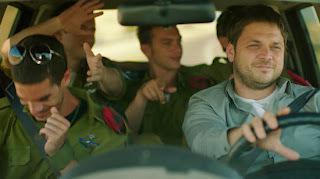 I hadn't seen the original film - and it didn't seem to matter at all, as Yossi is definitely a film complete in itself. The film follows Yossi, a lonely and closeted gay doctor working in Jerusalem who is struggling to come to terms with the death of his partner - whom he had served with in the Israeli army. After breaking the news of his relationship to his deceased partner's parents, Yossi embarks on a holiday to the resort Eilat - where he meets a group of young soldiers who help him move forwards from his grief. Yossi has a very modern feel to it and is an honest, funny and moving film that looks candidly at loss and the rediscovery of happiness. The trailer on YouTube is horribly cheesy and doesn't do the film justice so it's not included here! The visuals of The Virgin Suicides will stick with you long after you've seen it. Directed by Sophia Coppola, it is visually beautiful despite its dark subject matter and has an eclectic, fitting soundtrack to match. We are given a glimpse into the lives of the Lisbon family, whose four beautiful teenage daughters are intent on rebelling against their strict, religious parents following the death of their sister. Seen through the eyes of the boys who are charmed, confused and fascinated by the sisters, The Virgin Suicides plays on themes of the American Dream and the teen-highschool genre in a unique and disturbing way. Furthermore, it features a young' Josh Hartnett with the best 1970s haircut you could possibly imagine - a reason to see this film in itself.